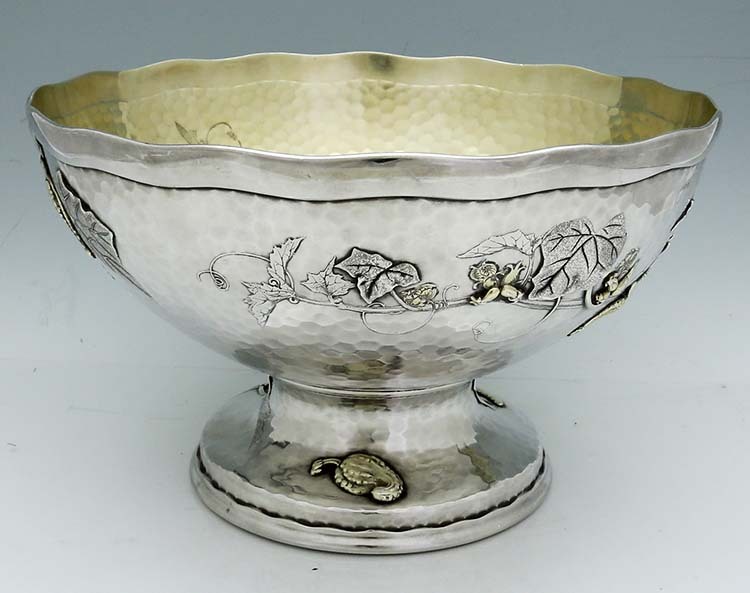 A rare and important large Tiffany antique sterling silver bowl with hammered surfaces and applied gold washed Japanese cucumbers. 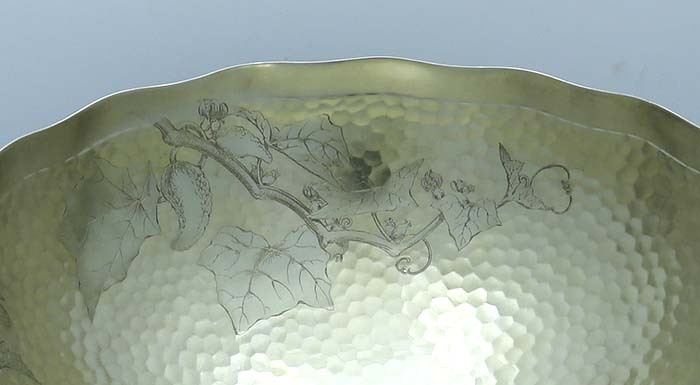 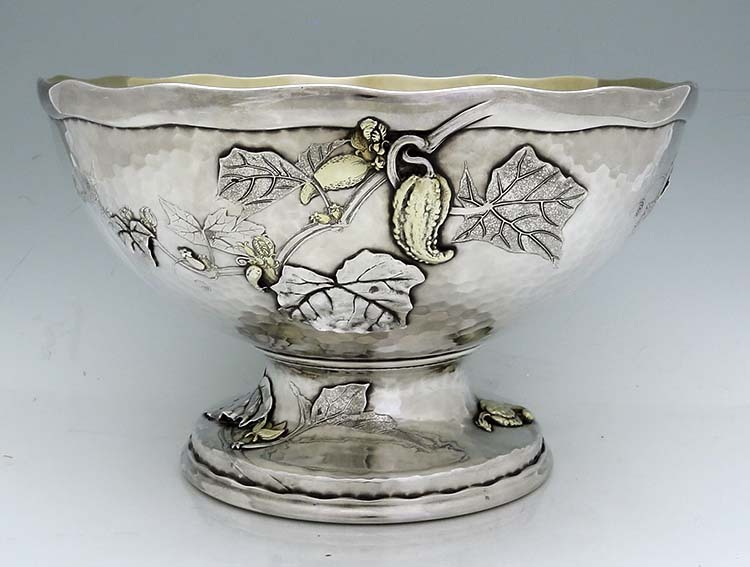 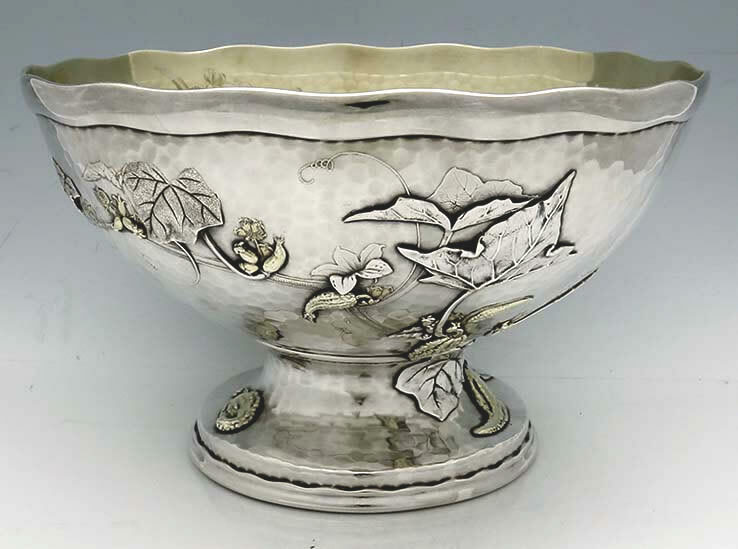 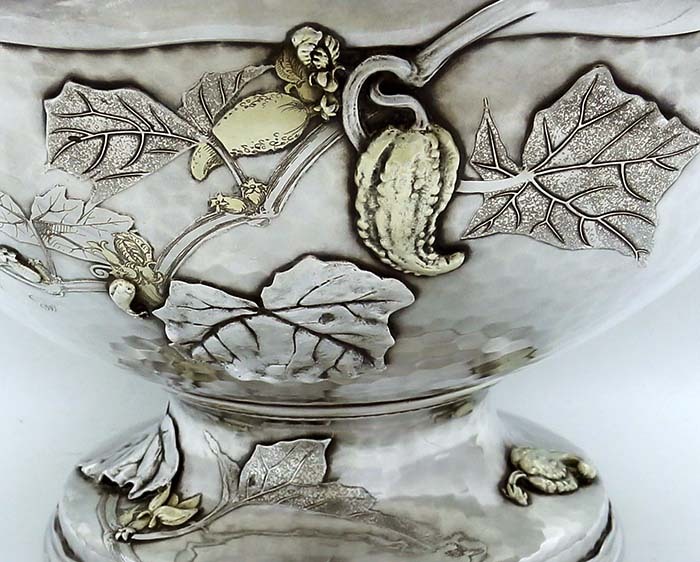 A fantastic array of applied silver Japanese cucumbers with branches on the base and outside of the bowl. 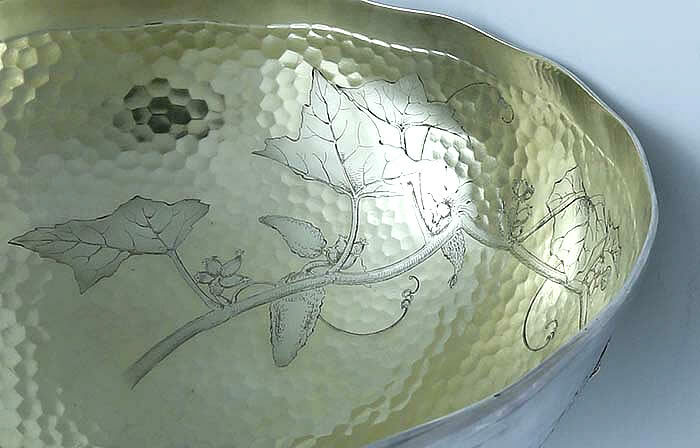 The interior is gold washed and has an acid etched mirror detail of the exterior applications. 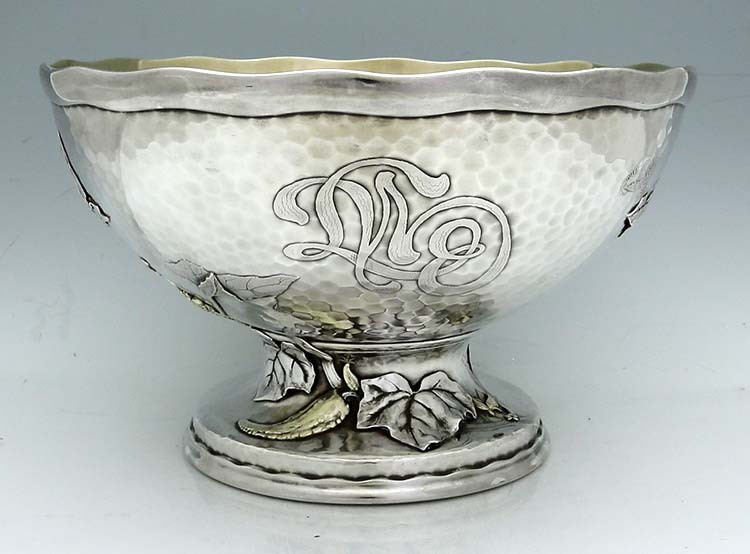 A superb museum quality fruit bowl by Tiffany & Company dated 1877. 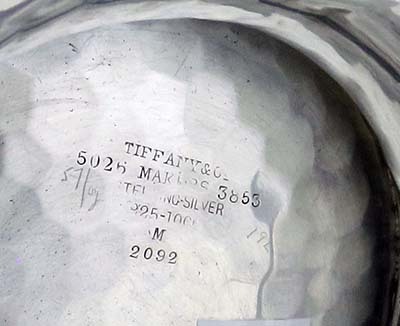 Custom acid etched monogram.